Tucked away 150 miles east of Puerto Rico, you’ll find one of the Caribbean‘s most beautiful jurisdictions—St. Kitts and Nevis. St. Kitts is the larger and more populous island, but I prefer the less hectic pace of life in Nevis. With densely forested mountains, brilliant tropical flowers and crystal-clear waters, there’s plenty of reasons you’d want to own a home on Nevis. But here’s one you probably don’t know about: When you purchase qualifying real estate in St. Kitts and Nevis, you’re eligible for near-instant St. Kitts and Nevis citizenship…and a passport. 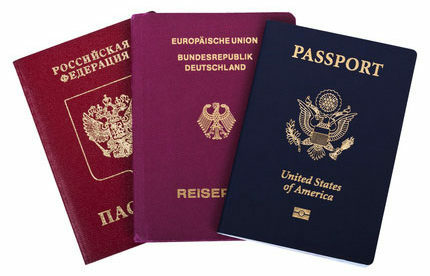 Passport holders can travel without a visa, or obtain a visa upon entry, to approximately 90 countries, including the United Kingdom, Canada and Switzerland. You don’t have to live or work on St. Kitts and Nevis once you acquire citizenship and a passport, although you can do so at any time. You also don’t have to pay local taxes because this country doesn’t impose income tax, capital gains tax, wealth tax or inheritance tax. Having a second passport and dual citizenship offers many advantages. It can protect your identity, should you ever need to keep your nationality a secret for safety reasons. It can give you the right to reside in other countries. And it can offer you a way to cross international borders if your primary passport is lost or stolen. For U.S. citizens, a second passport has another benefit—it is a necessary prerequisite if you want to legally disconnect, once and for all, from the U.S. tax system. Since 1984, the St. Kitts and Nevis Citizenship Act has allowed foreign investors who acquire qualifying real estate to obtain citizenship. This makes it the oldest existing citizenship-by-investment program, and perhaps the most respected. This program is strictly regulated. All applicants must submit to a thorough background check, provide bank references and letters of recommendation, along with proof of no criminal record in their home country. If you are applying for economic citizenship you must invest in an approved real estate project. You can live in this property or you can rent it out—nearly all approved projects provide a managed rental program which makes it nearly turnkey. In the safe, peaceful islands of St. Kitts and Nevis, you can get a safe second home and a reputable and respected passport.